The month of March may be hitting like a lion right now for some of our customers, but know that spring is right around the corner. 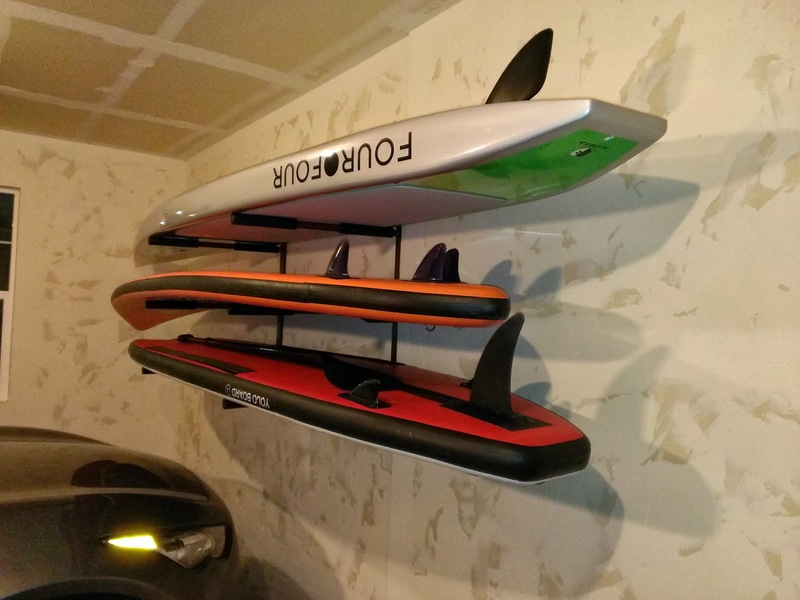 We've been seeing a lot of people ordering garage wall racks for their surfboards, paddleboards and wakeboards in order to get a jump on spring cleaning and get organized. 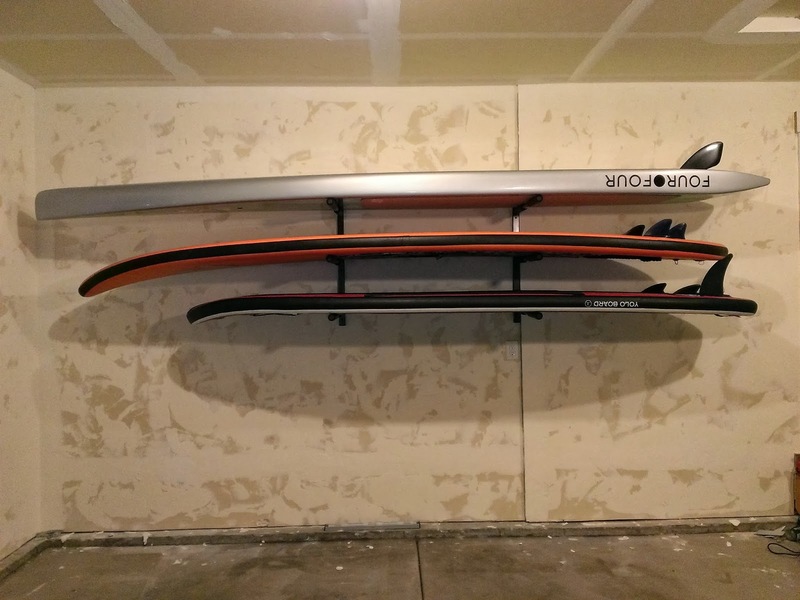 Check out the pics of this triple paddleboard storage rack and the review by one of our customers from Utah. "I got the rack last week, it was very easy to install and works great and seems to be very sturdy. Here's a few photos. We have a 14' Riviera 404 Zeedonk, 12'6" Inflatable C4 Waterman Sub-nine ATB and a 10' 6" Yoloboard inflatable SUP stored on there. I'm guessing around 100lbs total weight. Thanks again for shipping it out fast, we are very happy with the product!" Check out all of our paddleboard racks to see which one is right for your SUPs!